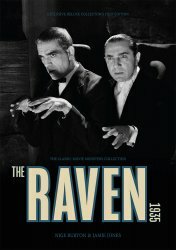 Direct to MyMovieMonsters.com from the creators of Classic Monsters of the Movies magazine in the UK: The Raven (1935) Ultimate Guide. We ship same or next day so why wait for the UK? The pendulum has been sharpened and the mirrors are polished, so that gentle rapping at the chamber door must be The Raven, Universal's grisly Poe-inspired 1935 thriller. This Ultimate Guide is the ideal companion to a fresh viewing of the movie and a trip to the torture chamber. Covering subjects including madness, obsession, and the wrong outcome to cosmetic surgery, The Raven is an unsettling classic packed with atmosphere -- and this full-colour Ultimate Guide takes you right back into the terrifying world of Dr Richard Vollin. Printed to the highest standard, with rare stills and artwork produced to new heights of clarity, the Classic Monsters Ultimate Guide to The Raven is an essential for your monster movie guide collection. Bela Lugosi's and Boris Karloff's superlative performances are just the start of any exploration of The Raven. Within the pages of this collector's item movie guide, insightful articles discuss the movie's production and sinister literary origins, while biographies introduce the cast and crew who put a new twist on Poe's immortal poem. 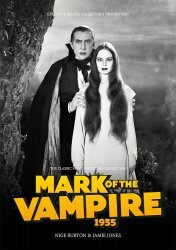 From director Louis Friendlander and cinematographer Charles J Stumar to actors Irene Ware, Lester Matthews, and Samuel S. Hinds, you'll meet the many minds who created this compelling piece of classic horror cinema. Packed with facts and trivia from behind the scenes, this Ultimate Guide to The Raven captures the movie's aura of menace and cruelty, bringing this beloved film back to life in the unique Classic Monsters style. So get your best suit on -- the guests will be arriving soon and Dr Vollin has an unforgettable party planned. Classic Monsters The Black Cat (1934) Ultimate Guide - from the UK!